Toshiba America Electronic Components, Inc. today announced the further expansion of its industry-leading Dynastron complementary metal oxide semiconductor (CMOS) image-sensor product line with the addition of two new chips, the 3.2 megapixel ET8EE6-AS CMOS image sensor and 2.0 megapixel ET8EF2-AS CMOS image sensor SoC with integrated image-signal processor (ISP). PicaJet is a straightforward photo organizer that is gaining popularity among digital camera owners. The pivotal points of the software are the following – direct import from camera, one-click image sharing, automatic photo enhancement feature, easy search, built-in photo album and one-click print. In response to a media report that the Canon S1 camera in China had a light sensor problem, Canon has admitted that there is indeed a CCD problem with its S1 camera and it has worked out an emergency solution to settle the problem. 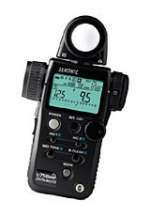 The new Sekonic L-758DR DigitalMaster is the World’s first multi-function light meter than can be programmed to match the sensitivity of digital camera sensors or types of film for perfect exposure control. Digital exposure has presented new challenges for photographers and Sekonic has responded with a new digital-ready light meter to meet and exceed the demand for digital exposure control. Recognizing that Halloween is one of the most popular days of the year for taking pictures, Sprint and Fujifilm, U.S.A., Inc., are adding to the fun by sponsoring the Picture Perfect Halloween Photo Contest.Now through Nov. 12, consumers can submit photos in a variety of Halloween-themed categories for a chance to win the grand prize: a trip for four to HERSHEYPARK in Pennsylvania for the Hershey Trick or Treat Adventure in 2007. SanDisk Corporation announced today that it will begin selling 2-gigabyte microSD cards - the largest capacity of the world's smallest removable flash memory - in Japan starting October 25. This will coincide with the introduction of new microSD-compatible handsets from NTT DoCoMo and other mobile phone carriers between now and the end of the year. For those eyeing the satin luster of the new Canon PowerShot SD900 Digital ELPH camera's Titanium body, taking in its slim profile and gracefully curved lines, Canon offers a special treat just in time for the holiday season - something to wrap it in. Canon has once again commissioned the renowned leather crafters at Coach to create a limited edition signature camera case for the flagship of the Digital ELPH line. Samsung, the world's second largest laser printer engine manufacturer announces that its breakthrough CLP-300 Series color laser printers are now shipping and available. These powerful yet affordable new solutions are ideal for customers who want the benefits of color printing but do not have the space for the typical color laser printers in this class. 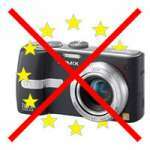 The international photo industry and photo traders have urged Brussels to comply with the Information Technology Agreement (ITA) of the World Trade Organisation (WTO), countering arguments that digital cameras with video function can be equated with dedicated camcorders in terms of customs legislation. 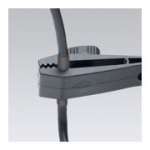 Professional photographers can now have greater confidence that cameras and tethered cords are more securely connected with the introduction of a new cable management device called TetherGRIP Pro. Pandigital today unveiled its premiere line of eye-catching digital photo frames that - unlike any other photo frames on the market - come with 64-128MB of internal memory, multiple USB ports, and a 6-in-1 media card reader. The new digital photo frames let customers quickly and easily copy high-quality digital images from a memory card, digital camera or PC directly into the frames' internal memory and then effortlessly enjoy at home or the office. "We gave them the new Nikon D80. What they gave back was stunning. They shoot for photo sites like Flickr.They shoot for family photo albums. They shoot because they’re passionate about taking pictures. What did they capture with the new 10.2 megapixel Nikon D80?". This was message in Nikon's print ad and the story behind it is that Nikon picked out a small number of eager, amateur photographs already posting their photos to the web and sent them the new camera, D80. 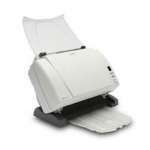 Today’s business people are managing an ever-growing number of documents. Add regulatory compliance issues to the mix, and it’s easy to see why distributed desktop document scanning is becoming an integral part of every business environment. Lensbabies, LLC showcases Lensbaby 2.0, a second-generation selective focus SLR camera lens, bringing brighter, sharper, and faster selective focus photography to professional and avid amateur photographers. Canon Rebel XTi is the newest member of the Rebel clan. It is successor of Rebel XT model – the camera that set all time sales records for digital SLRs. New Rebel comes with 10.1 MPx sensor; refined and redesigned Canon CMOS sensor; larger, easier to read 2.5 inch display screen, and the remarkable EOS Integrated Cleaning System, a self-cleaning image sensor unit/dust removal system that is available on no other camera of any make, at any price. 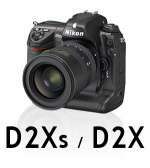 Few months back Nikon introduced D2Xs digital SLR camera to the market. Since then there have been many questions what that S is all about? Nikon had to react to requests and suggestions from pros and here are the main changes between those two models.